Ruth Di Rada is a fifteen-year-old from Brazil. Earlier this year, she received an Ismart scholarship to study at the University of Notre Dame. 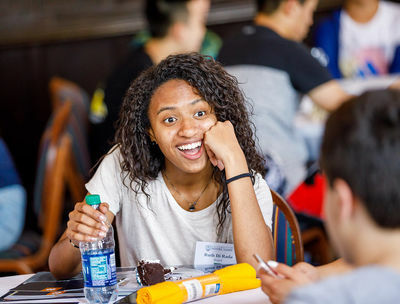 While on campus, she participated in the iLED summer program, focused on international leadership. The iLED program is a two-week curriculum taught by Notre Dame faculty. It includes lectures by professors, hands-on learning, collaborative projects, community engagement, and many extracurricular activities. 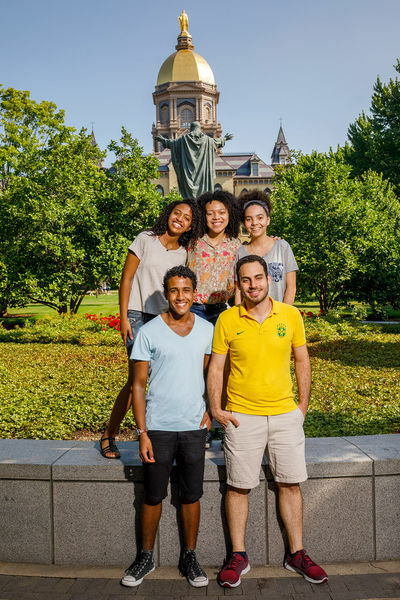 Once she returned home to Brazil, she reflected on her experience and the greatest lessons she learned while on campus. Eight different languages, fifteen countries, forty-one teenagers within the ages of 15-18, and a lot of passion for knowledge. My two weeks at the University of Notre Dame have been amazing! This year I was granted an incredible opportunity to participate in the iLED summer program focused on international leadership. I took classes on economics, psychology, architecture, engineering, as well as several workshops about leadership and engagement. From my very first day on campus, I have lived through very interesting and exciting moments. In the beginning, I didn’t know what was waiting for me. Every activity, class, or conversation has introduced me to a world filled with new possibilities. I decided to make this post to describe four of the many things iLED has taught me, both inside and outside the walls of classrooms. I hope through this text, I’m able to tell you a bit about my experience and encourage other students to believe in and run after your dreams. Since I was a child, I’ve always been passionate about diversity. But it was only when I became a high school student that I was more in touch with people who had different backgrounds. Notre Dame showed me that I still needed to leave my comfort zone to be aware of what life has in store. My roommate’s routines clearly illustrated that differences would interfere in our friendship. Tianyang Hu, or Cindy, had to pick a nickname to facilitate our communication. Growing up within totally different cultures made our conversations a little weird in the beginning. However, along the way, we ended up having more similarities than we had figured out. Like me, Cindy’s enrollment in iLED translated our eagerness to learn more about several areas of knowledge. 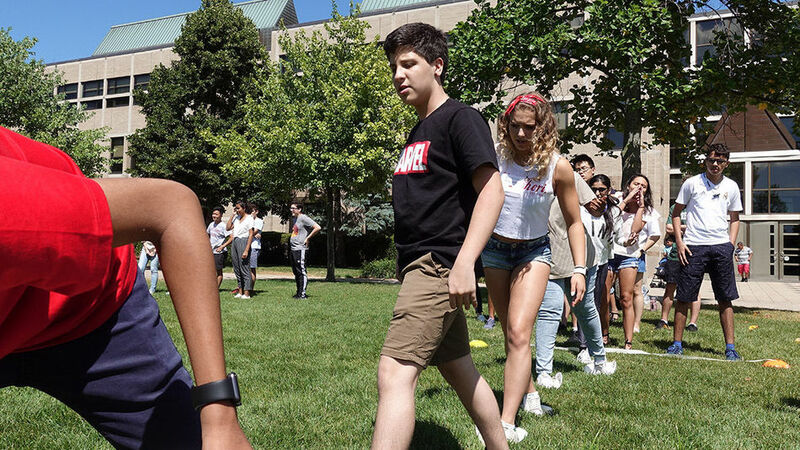 In our summer programs, we expected to be more sure about decisions that could completely change the courses of our lives. In one of my class activities, each student should seek out an unknown peer. They there then encouraged to list all of the things they had in common. Although my partner was a 17-year-old Indian boy, we managed to register more than twenty shared preferences. Among them, reserved personalities, communicative skills, and our favorite combo of school subjects at school were history and mathematics. Being different is never a problem. If we want to face challenges, we should accept our identities, not worrying about what has happened or will happen in the future. I have probably committed many more mistakes than I wanted, but it allowed me to acquire singular knowledge. Undoubtedly, it is absolutely important to learn from the past and plan for our future. However, focusing 100% on tomorrow’s goal, as well as thinking about what we might have done differently yesterday, prevents us from taking advantage of the gifts and learning that today’s journey. According to most dictionaries, leadership is “the art of commanding people, attracting followers and positively influencing mindsets and behaviors." Until the beginning of the summer program, if I had heard that phrase, it would have reminded me of a large company CEO’s speech. After so much discussion and learning, all this common sense about what it truly means to be a leader has been totally deconstructed. Right now, for me, leadership is not just about commanding people and exercising control. A chief needs to respect those he leads, making decisions that motivate them. Being the head requires sympathy, empathy, and compassion, but also making constructive criticisms when necessary. It is often a rather difficult task to apply this type of thinking to our daily lives. However, it is necessary. This is an attitude that initially seems very simple, but that there is a lot of courage and willpower. He could simply assume nothing, avoiding making mistakes. However, while taking the risk and at the same time striving to make the best decisions, it becomes an inspiration to how leadership can manifest itself in the details of each and every one of us. Chinese, Nigerians, Nicaraguans, Germans, Kenyans, Indians; different and interesting people to meet were not lacking in my iLED experience. At first, my shyness tried to make sure I didn’t take advantage of the wonderful experience that awaited me outside the four walls of my dorm. On one hand, I knew that knowing and engaging with so many different people and cultures was the only way to fully experience this unique opportunity. So I started to open up more every day. I was losing the shame of my accent and learning that it was okay not to remember the translation of one word or another, since I was there just to learn. I remember that in one of the group activities, the thirty students were divided into two teams. We received a total of twelve dishes, which symbolized stones. We were to use them to cross the grass in the field we were on. The challenging factor was that if any of our team members touched the grass, the whole team (including those who had already traveled the course) were forced to come back and start all over. The winning team would be the one who completed the challenge in the least amount of time possible. During this activity, I had some problems with my shoes and I wasn’t able to perform in the same way as my colleagues. Instead of leaving me, the whole team kept saying words of encouragement. Two of my colleagues decided to wait and help me solve my difficulty when they could have abandoned me and completed their part on their own. At the moment, they weren’t only thinking about themselves, but exercising empathy and seeking that everyone complete the course. At the end of the course, what really made my experience at Notre Dame wasn’t just the beauty of the campus, it was the knowledge I gained through the lessons I had. The days I spent in that place became so memorable because my focus was on the transformation that was going on around me. Achieving our goals isn’t an easy task. It requires extreme effort, dedication, and faith. At the same time, what is the point of reaching everything we want, but being alone? The people around me during each one of the classes and activities were the ones who taught me the most about what it means to lead. It wasn’t only about me, it was about us. At the beginning of the program, I was a fifteen-year-old girl who was surrounded by complete strangers and wanted to change the world, but didn’t know how to do it. After the two weeks I spent there, I left as a member of a family and an international community of young leaders engaged in not only changing the world, but being the change. Learn more about the iLED program. Originally published by Colleen Wilcox at saopaulo.nd.edu on October 24, 2018.